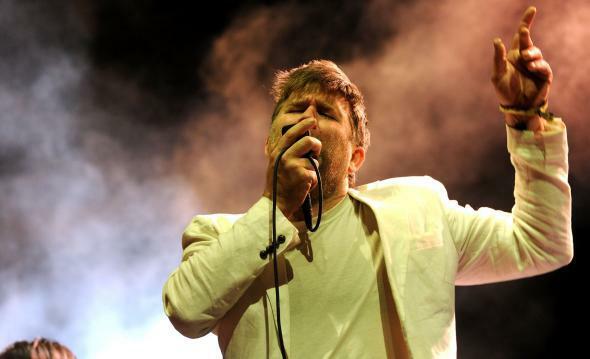 LCD Soundsystem share Christmas Will Break Your Heart: Their first song in five years (VIDEO). James Murphy of LCD Soundsystem performs at the Coachella Valley Music & Art Festival in 2010. As many have noted, the cut might as well be called “Christmas, I Love You but You’re Bringing Me Down”—it has the same morose, meandering feel of the band’s elegy for New York, with Murphy’s croon cresting over some epic orchestration and a loping bass line. It also seems increasingly likely that this isn’t a one-off reunion: Consequence of Sound and Billboard both report that the group will embark on a 2016 tour that includes several major festival dates.